In college athletics, revenue generating teams keep an athletic department afloat. This client sought increased visibility into ticket sales for one of their revenue generating teams. 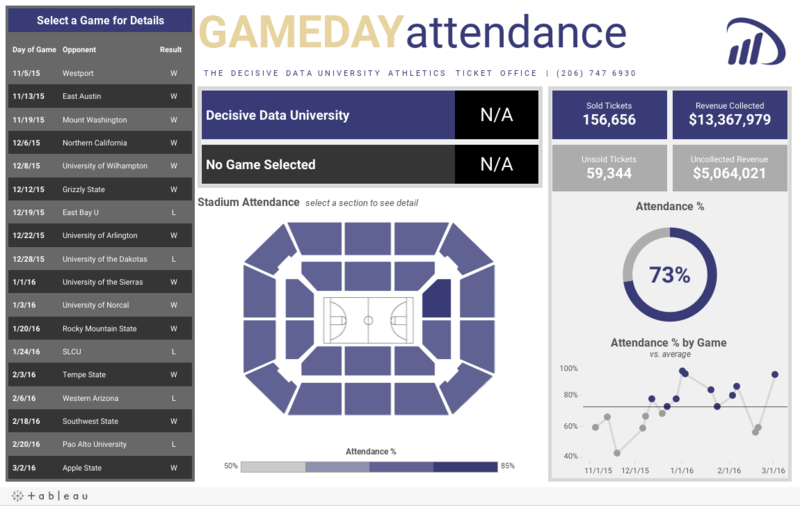 The client had the data, but lacked the visual tools required to identify correlations and maximize revenue through ticket sales.